Seasonal storms can damage your Charlotte home’s roof. The Charlotte area is well known for its summer storms. 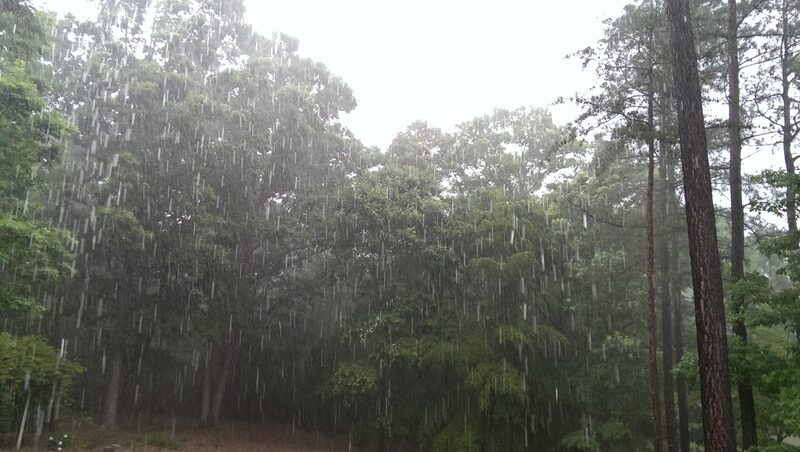 It can be sunny one moment with torrential downpours the next. These storms are often accompanied by hail and strong winds, leaving roofs damaged. Belk Builders is currently working on multiple roof repairs across the city, and we wanted to share some basics about roof damage due to wind and hail. If your roof has taken the brunt of summer storms, it’s time to get your repair plan in order. According to the National Oceanic Atmospheric Administration (NOAA), hail causes around $1 billion in property damage annually in the U.S. Thousands of storms with hail are recorded every year. And some properties may be pummeled by multiple storms within a short amount of time. According to the Insurance Information Institute, North Carolina ranked number nine in property damage due to hail of all 50 states. It impacted at least 10% of all property in the state in 2016. What Do Hail and Wind Damage Look Like? 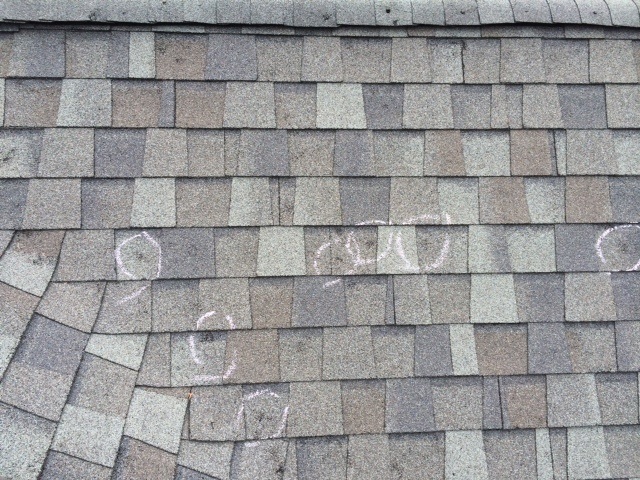 Circled hail damage on South Charlotte roof caused by recent isolated thunderstorm. If it sounded like your roof was taking a beating during a recent storm, then it’s time for a roofing assessment. Depending on the type of shingles on your home, the damage can vary. Some of it might be very noticeable while other areas need closer inspection to see if they have softened. On example is the breakdown of granule levels. 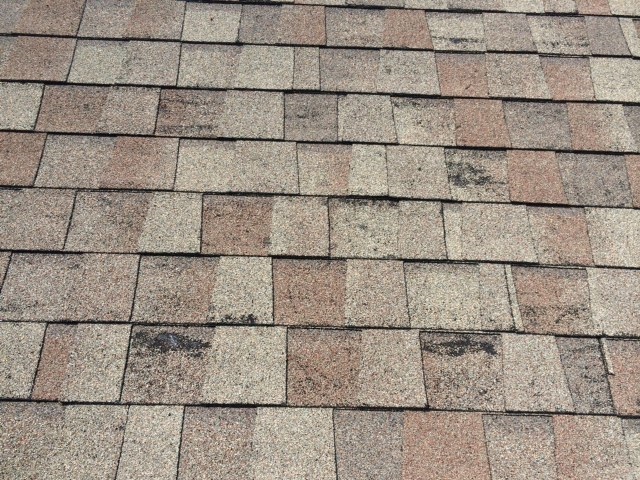 Granules protect the roof and are often depleted by hail. 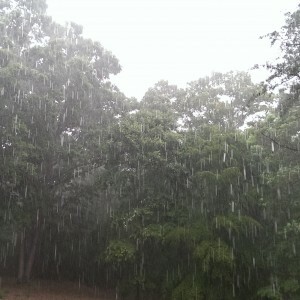 This weakens the roof and makes it susceptible to UV rays. Hail damage on roof following a recent storm in Ballantyne area of South Charlotte. 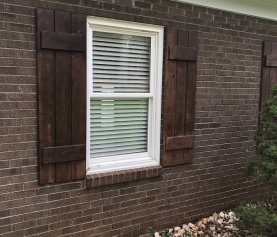 To determine damage, it’s best to leave this up to the professionals, as they know what to look for. An experienced roofer will also advise whether or not you should file an insurance claim. No matter the material, Belk Builders can repair your roof. 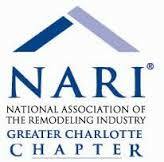 We start with a free assessment, available to Charlotte area homeowners. Once you have met with a reputable roofing company and determined there is damage, it’s time to file a claim. This kind of damage should be covered by your homeowner’s policy. You’ll need to review your policy to see what is covered. You may also be responsible for the deductible. 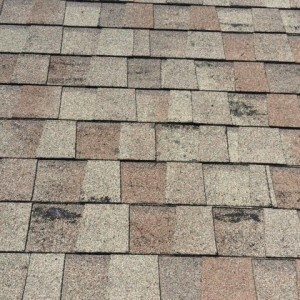 Gather your evidence, including the assessment from the roofing company and any pictures that represent t the damage. The most important aspect is to address it as soon as possible. If you leave it to chance, you may encounter more serious harm to the roof and jeopardize your floors, walls and belongings. Unfortunately, some roofing companies make a lot of promises and don’t deliver. Belk Builders is different. We are ready to get moving on your job and will give you an honest, fair assessment of the damage and what it takes to repair it. 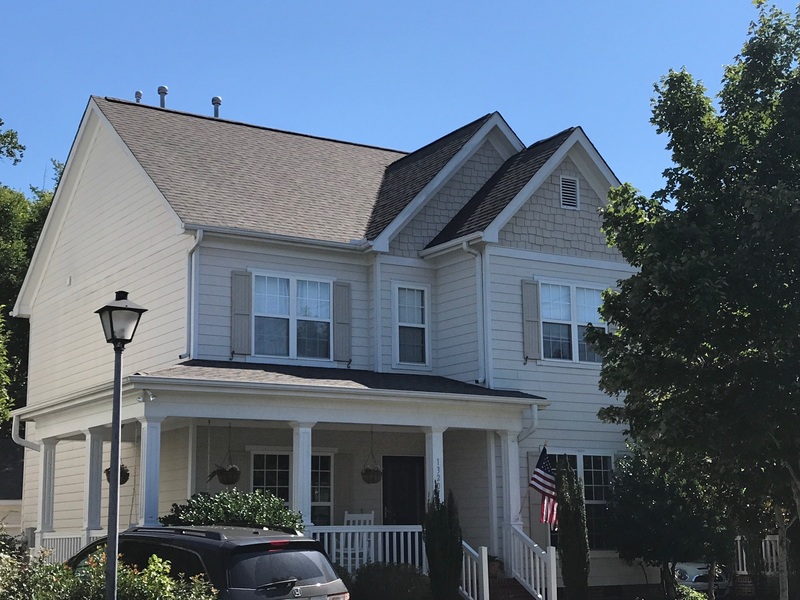 Make sure you choose a Charlotte roofing company with a great reputation and proven expertise in the area. If your roof is in need of repair, trust Belk Builders to deliver an accurate inspection and complete repairs quickly and easily, so your home is protected from the elements. 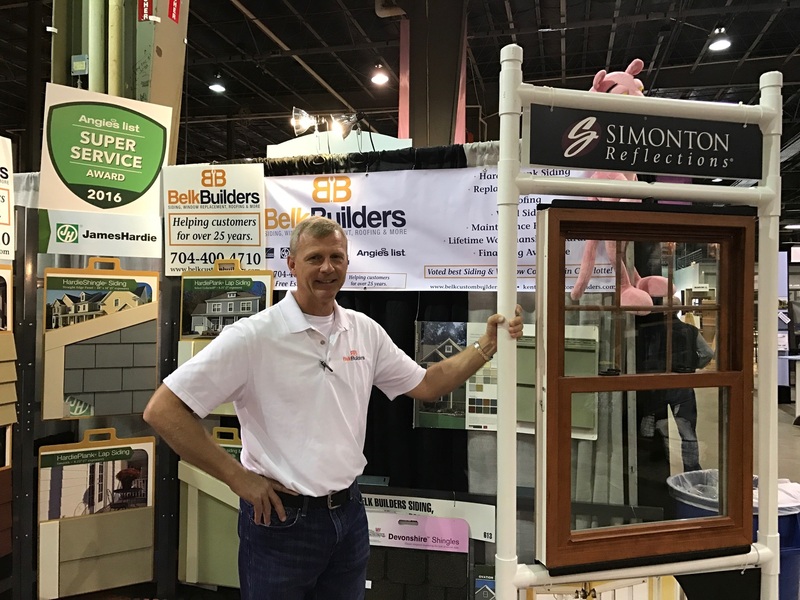 Contact us today to schedule your free inspection at info@belkcustombuilders.com or 704-400-4710.